Dr. Sejpal is the Chief of Endoscopy, Division of Gastroenterology, for the Northwell Health System. He also serves as the Director of the Advanced Endoscopy Fellowship at North Shore University Hospital/Long Island Jewish Medical Center and as the Director of the Pancreaticobiliary Program at North Shore University Hospital. His clinical interests include advanced endoscopic imaging modalities, therapeutic endoscopy, and management of complex pancreaticobiliary diseases. He has introduced state-of-the-art technology, innovative techniques, and cutting-edge research to the enterprise. 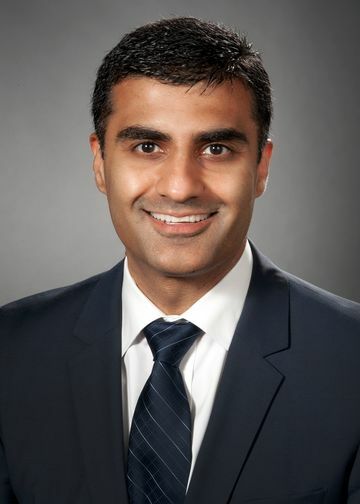 Dr. Sejpal, a graduate of American University of the Caribbean medical school, completed his internal medicine residency and gastroenterology fellowship at the University of Virginia. He then completed an advanced endoscopy fellowship at Columbia University. Subsequently, he developed advanced endoscopy programs at Mount Sinai Medical Center in New York and at Baylor College of Medicine in Houston. He recently completed a Masters in Healthcare Delivery Science at Dartmouth College/ Tuck School of Business. Dr. Sejpal is Professor of Medicine at the Zucker School of Medicine. Dr. Sejpal’s research interests have also expanded to the Bioskills Education Center where he is investigating the utilization of cadaveric specimens for training of GI fellows and workshops for medical professionals and industry. Trindade AJ, Hirten R, Slattery E, Inamdar S, Sejpal DV. “Endoscopic ultrasound fine needle aspiration of solid lesions on clopidogrel may not be a high-risk procedure for bleeding: a case series.” Digestive Endoscopy 2016; 28(2):216-9. Inamdar S, Slattery E, Bhalla R, Sejpal DV, Trindade AJ. “Comparison of Adverse Events for Endoscopic Versus Percutaneous Biliary Drainage in the Management of Malignant Biliary Tract Obstruction in an Inpatient National Cohort.” JAMA Oncol 2016;2(1):112-7. Inamdar S, Berzin TM, Berkowitz J, Sejpal DV, Sawhney MS, Chutanni R, Pleskow DK, Trindade AJ. “Decompensated cirrhosis may be a risk factor for adverse events in endoscopic retrograde cholangiopancreatography.” Liver Int. 2016 Oct;36(10):1457-63. Stein P, Brun A, Zaidi H, Sejpal DV, Trindade AJ. “Successful Treatment of a Persistent Esophageal Lichen Planus Stricture With a Fully Covered Metal Stent.” ACG Case Rep J. 2016 Jan 20;3(2):98-100. Trindade AJ, Sejpal DV, Sideridis K. “Digital pancreatoscopy in the management of main duct intraductal papillary mucinous neoplasm.” Gastrointest Endosc. Jul 2016. Trindade AJ, Passi M, Stein PH, Sejpal DV, Philip T. “Liquid nitrogen cryospray ablation in palliation of Barrett’s esophagus-associated adenocarcinoma.” Gastrointest Endosc. Jul 2016. Inamdar S, Han D, Passi M, Sejpal DV, Trindade AJ. “Rectal indomethacin is protective against post-ERCP pancreatitis in high-risk patients but not average-risk patients: a systematic review and meta-analysis.” Gastrointest Endosc. Sept 2016.